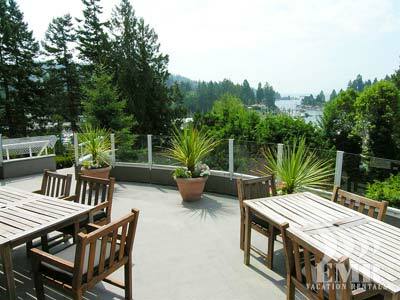 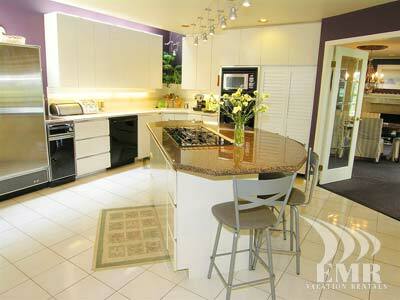 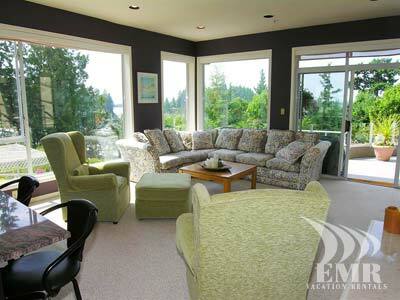 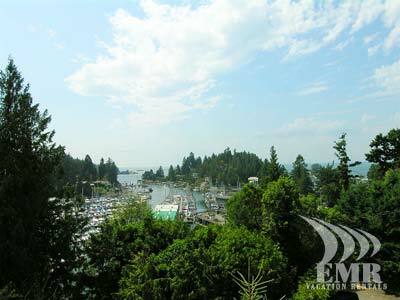 Eagle Harbour Estate is a large, luxurious, open plan three level home overlooking Fishermans Cove in West Vancouver. 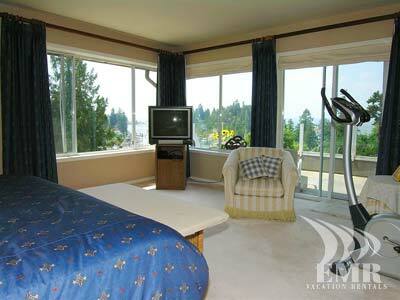 All principal rooms feature dramatic south west facing ocean views. 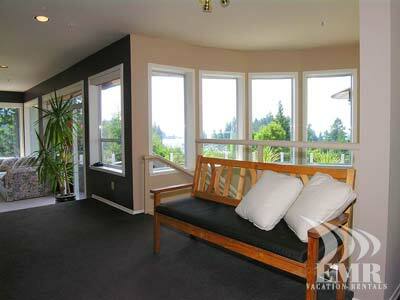 Sit on the large deck and watch cruise ships passing framed by beautiful sunsets. 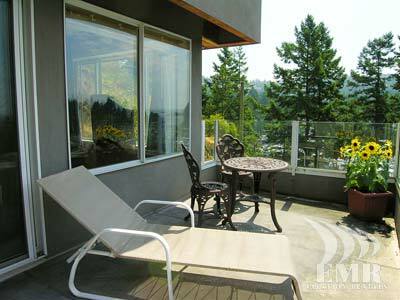 The outdoor teak patio table seats 12 and includes a patio heater for cooler winter evenings. 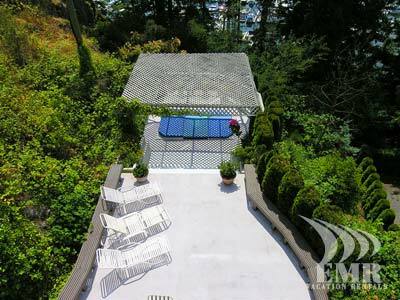 This estate home has five bedrooms, including a large master en-suite with Jacuzzi tub, shower, bidet and two sinks, gas fireplace, and a deck with south facing views. 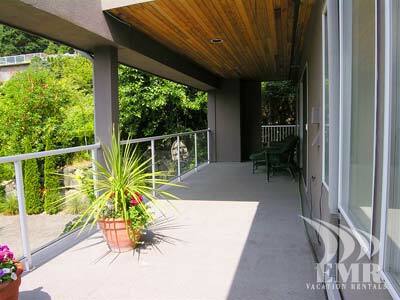 There is a separate deck off the master and second upstairs bedrooms. 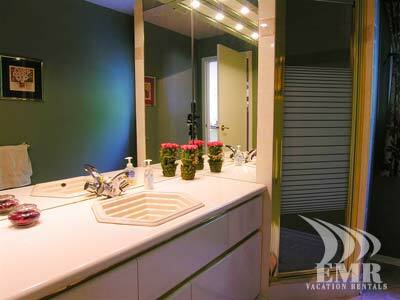 There are seven bathrooms in total, two main bathrooms and five bedrooms with full ensuites. 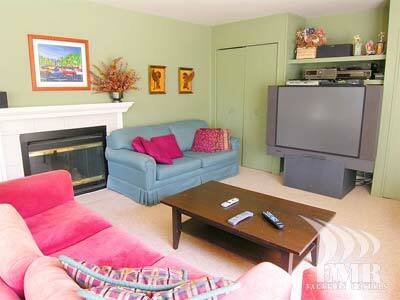 The ground level of this home offers a media room with a large screen tv, a gas fireplace and a Fooseball table. 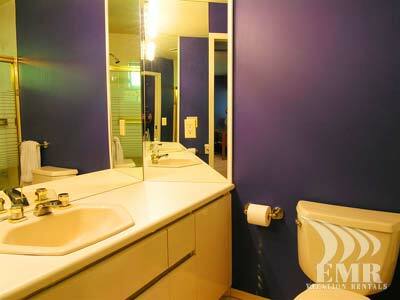 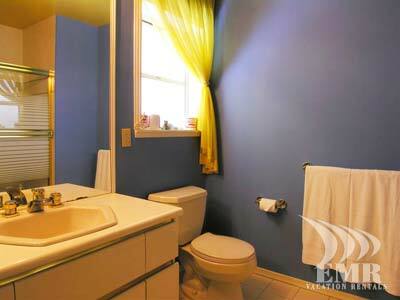 For your convenience there is a powder room adjacent to the main living area. 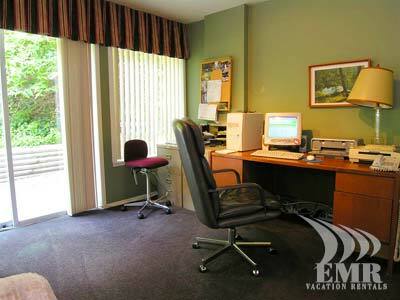 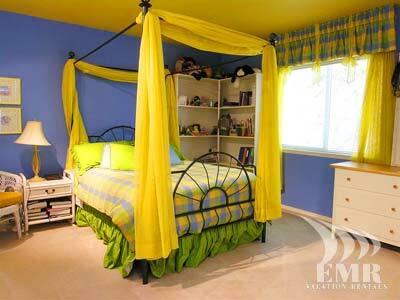 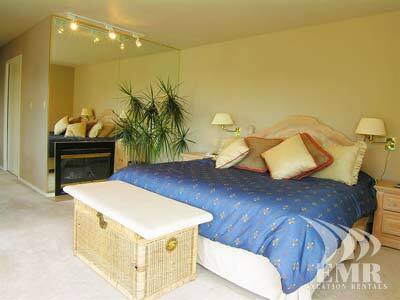 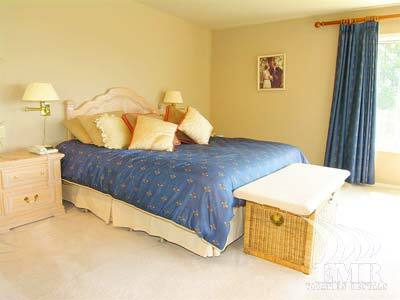 The ground floor also has a large bedroom with queen bed and full ensuite bathroom. 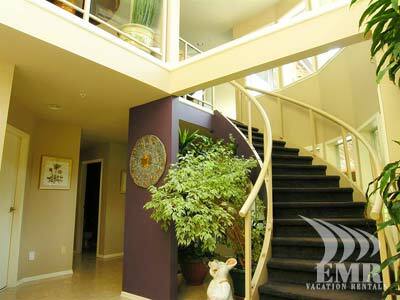 There is also a lovely foyer and complete laundry room. 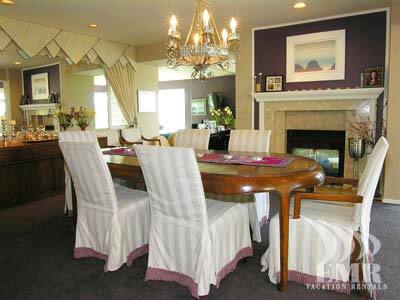 The main floor also includes a well appointed modern kitchen with large Subzero fridge and separate freezer, perfect for preparing a midnight snack or a feast for your guests. 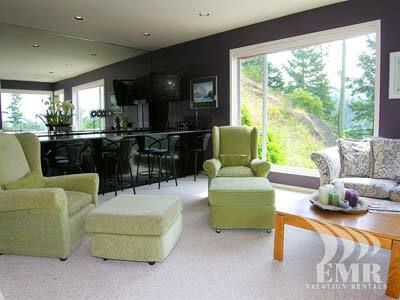 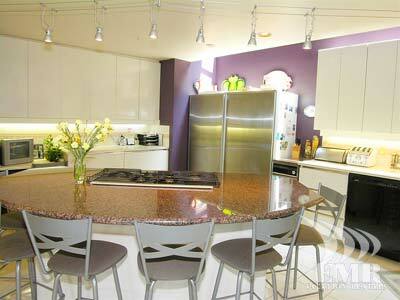 Relax afterwards and have a drink in the family room complete with a large granite bar to make your drinks on. 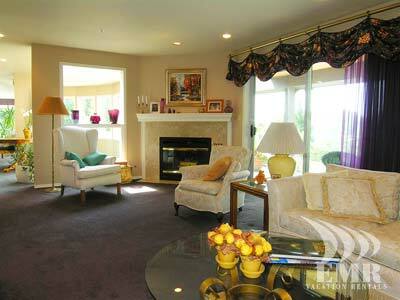 Keep the ambiance cozy by using one of the gas fireplaces in the dining room, living room and family room. 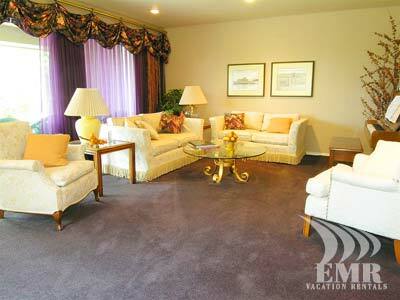 The main floor also has a full bath room computer room, and wet bar between the living room and kitchen. 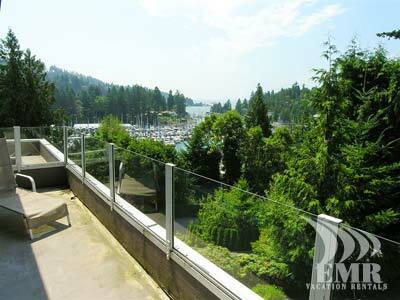 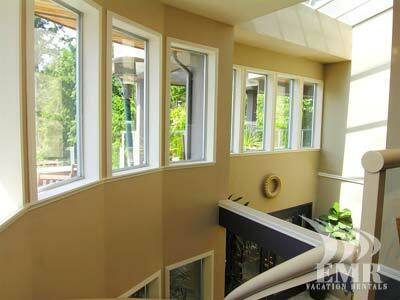 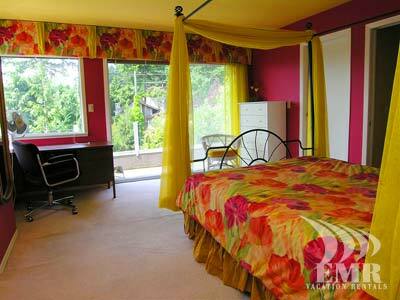 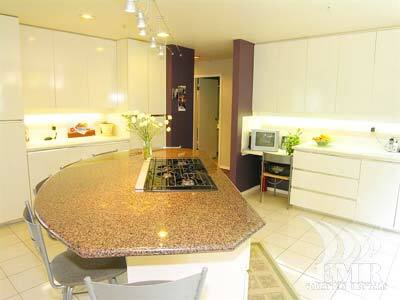 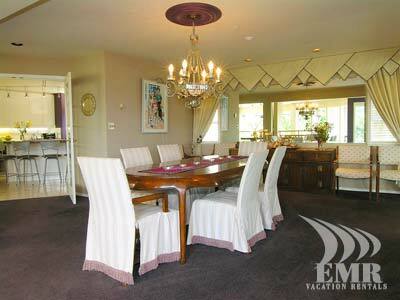 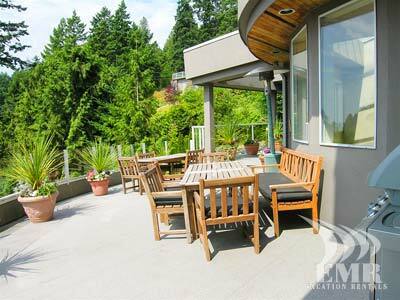 All in all, this luxurious West Vancouver property is a must rent for your family or group. 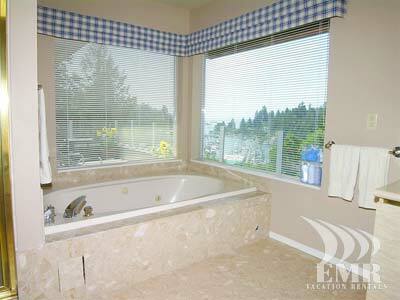 Come and experience the views and enjoy the luxury.